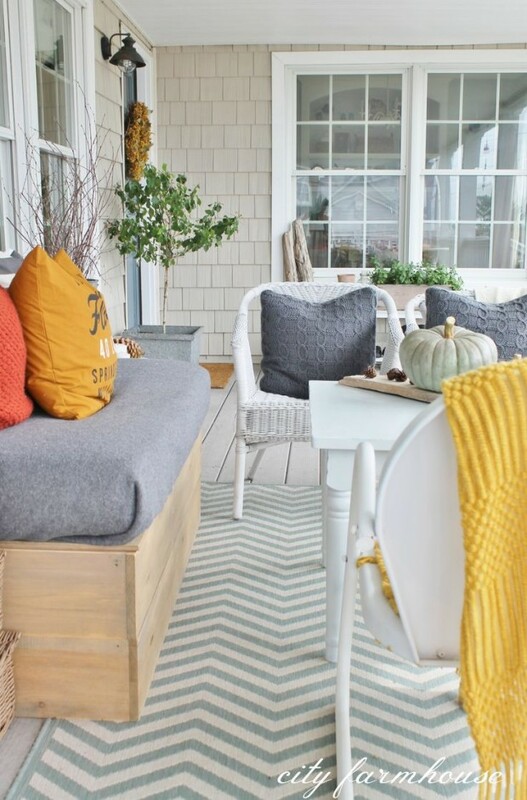 So many inspiring fall front porch decorating ideas for the changing season! Well, hello there! We’re still in the middle of our entire main floor renovation (help me!). 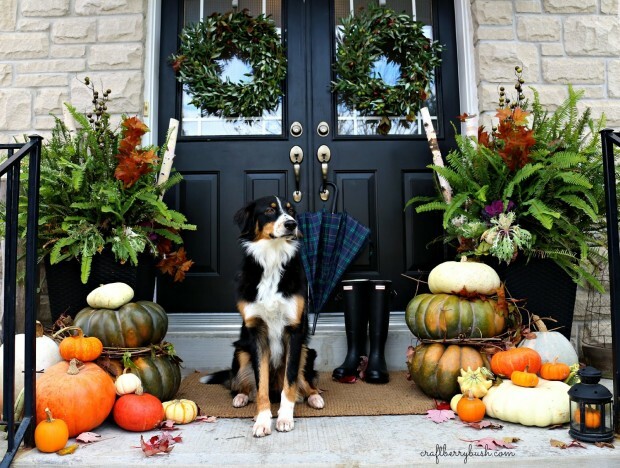 Today, I thought I’d pop in to share some of my favourite fall front porch decorating ideas, plus give you a little update on how things are going around here. 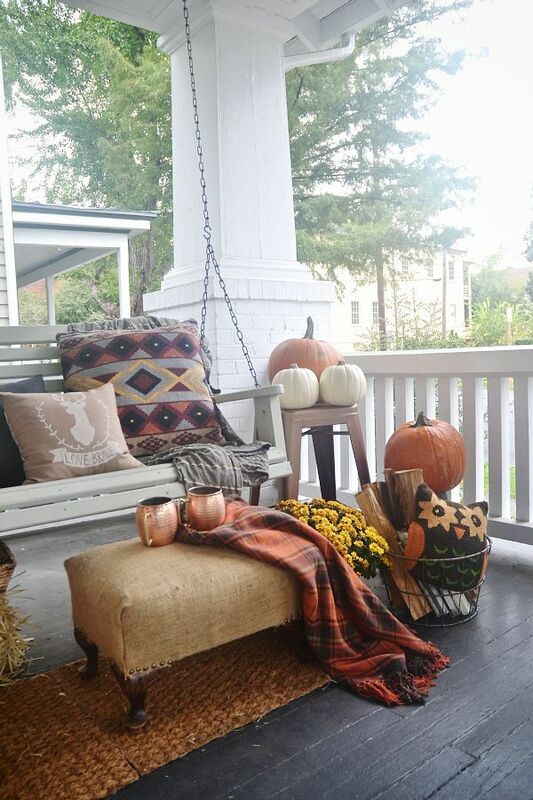 Before I get to that, do you remember our front porch from last fall? I went with a different colour palette than you’d typical find this time of year and ended up loving it. Unfortunately, it’s currently a little neglected as my focus is on the inside of our house. As I’m writing this post, our painter is spraying the gorgeous new trim we had installed last week. I’ve been learning all kinds of tricks of the trade helping him out with filling, sanding, taping and vacuuming to speed the whole process up. Let’s be real, a girl can only live so long without her kitchen, right? Next, the ceiling will be painted, and then our slate tile will be installed in the entryway, powder room and laundry room, followed by the hardwood throughout the rest of the main floor, including the staircase. 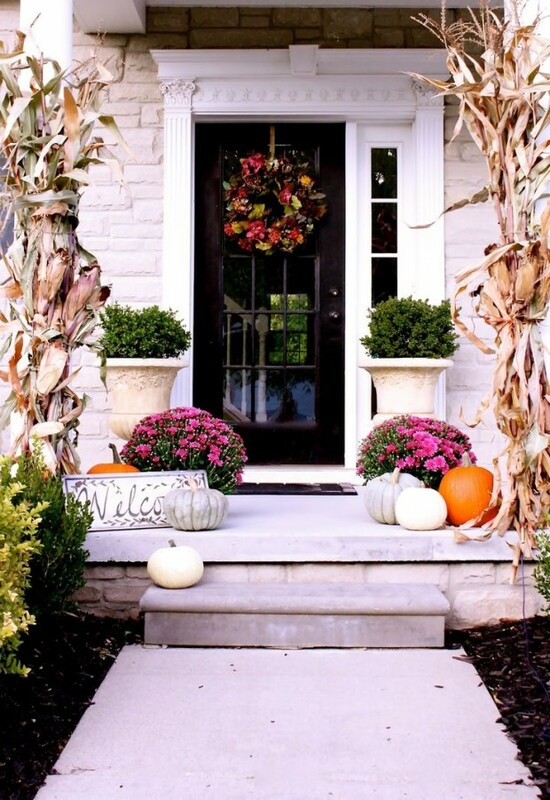 Have you started decorating for fall yet? 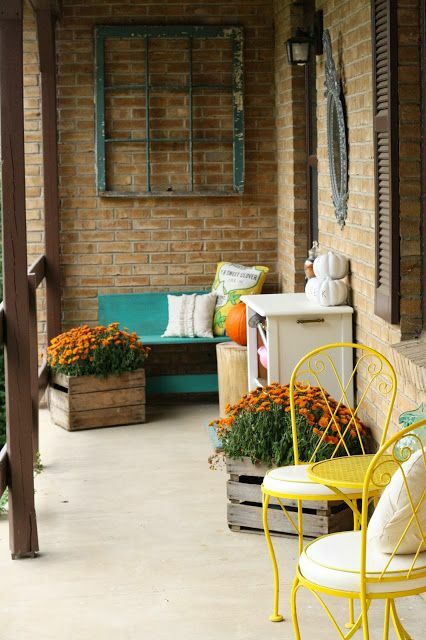 Do you prefer traditional autumn colours like orange, red and yellow or changing it up a bit? See you soon with more renovation updates! 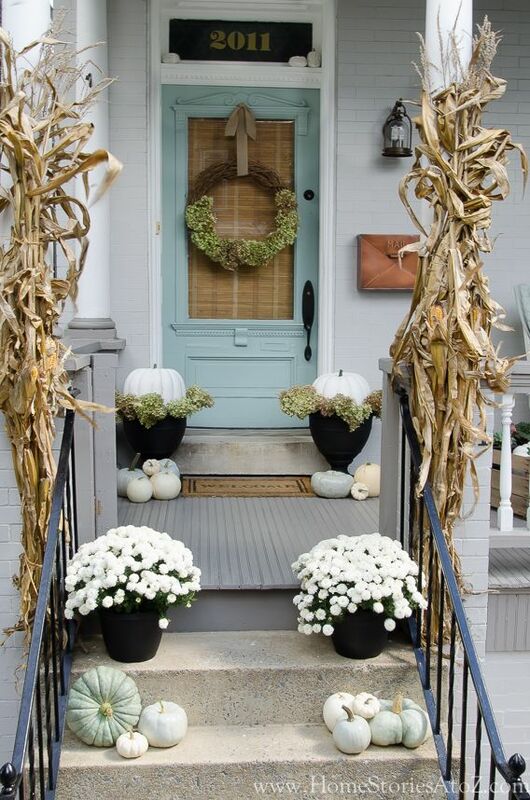 We haven’t gotten to the fall decor yet! Eek, we’re still working on the inside, too. We just sold our love seats (so happy to finally see them gone), so now we have a pretty empty living room that we have to fill. 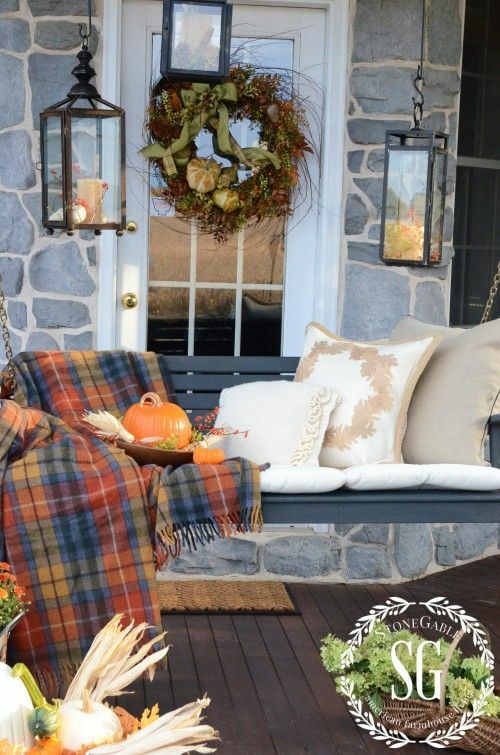 So much going on and so the outside is hit and miss… I am really looking forward to your reveal(s), Shauna! Yes, something has to give, right? 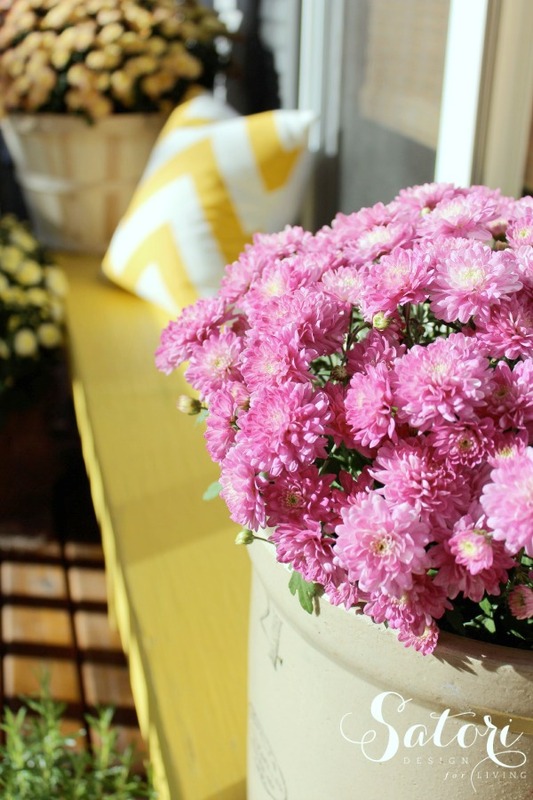 Can’t wait to see your newly decorated living room (and other spaces to come)!